Payroll is a significant expense and an important accounting task for any employer. Gross pay is essentially the total amount an employee is paid before taxes and other deductions. Typically, businesses rely on software or accounting services to calculate gross pay and then process the figure to arrive at the employee's net pay. However, it is important to understand the procedure even if you never need to do the computations by hand. This knowledge will help you to be aware of how your payroll dollars are being spent. Gross wages or gross pay is the total amount of money an employer owes an employee when payday comes around. Gross pay may be limited to an employee's base salary, which equals the annual salary divided by the number of pay periods in a year. For instance, someone with a salary of $52,000 paid biweekly would earn a base salary amount of $2,000 every two weeks. Suppose an employee is paid $20 per hour instead of a salary for a 40-hour workweek. This employee's gross pay comes to $800 for the week. The gross wages definition includes money earned in addition to hourly wages or base salary. The gratuities a tipped employee declares are added to gross pay. Commissions and bonuses are included in the gross pay amount, as are reimbursements such as allotments for meals or to compensate an employee for using his personal vehicle for work-related purposes. An hourly worker who puts in more than 40 hours in a single week must be paid for the extra time at a rate of at least 1.5 times her regular hourly rate. The extra pay becomes part of the total gross pay. Some types of income a person earns are not part of gross pay. Suppose you run a business and some employees have second jobs. You would not include those earnings in gross pay. The same holds for employees who have self-employment income or earnings from interest, dividends and investment profits. Since employers do not owe these amounts, they are excluded from gross pay. 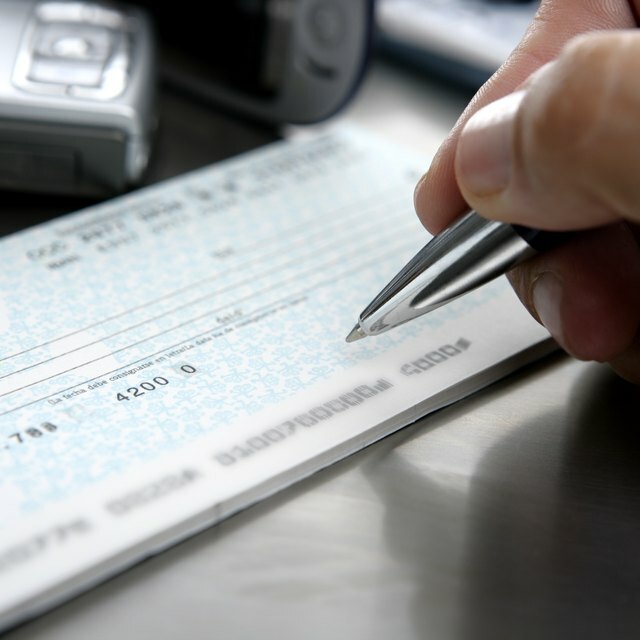 To process payroll and prepare paychecks, employers must calculate gross pay for each worker. Two situations typically apply. One is finding gross pay for a salaried employee. The calculation begins with the base salary amount for the employee. If the employee also earns commissions or a bonus, the amount is added to the base salary along with any reimbursements. If the employee is considered "exempt" it means she is not covered by the overtime provisions of the Fair Labor Standards Act. It is not necessary to calculate overtime for exempt employees, regardless of the number of hours worked. Suppose an employee has a base salary of $2,000 paid every two weeks. In addition, the employee earns commissions of $500 and reimbursement for business expenses of $200. You would add these amounts together to find the gross pay of $2,700. The second situation that employers typically encounter is the hourly worker. First, the hours worked are multiplied by the regular pay rate. Overtime pay is computed at 1.5 times the regular rate. As with a salaried worker, any additional amounts such as tips, commissions or bonuses are added to hourly pay. Suppose an hourly employee works 48 hours in a week with a regular rate of $16 per hour. For the first 40 hours, this comes to $640. The overtime pay equals eight hours times $24 or $192. The total comes to $832 for the week plus any additional amounts the employee has earned. An alternate gross wages definition is that gross pay is the amount an employee earns before any deductions are subtracted. Net pay is defined as the amount that remains after taxes, insurance and other items are deducted from gross pay. In other words, net pay is the amount of money an employee receives on his paycheck. Gross pay thus serves as the starting point for calculating net pay. Deductions for taxes include federal income tax, Social Security tax, Medicare tax and state income tax. Non-taxable deductions can consist of health, life, dental and vision insurance along with contributions to pension plans, health savings plans and 401(k) plans. It is essential to figure these deductions at the proper point in the payroll processing because some amounts are subject to taxes, but some are not. To calculate net pay, an employer begins typically by deducting any amounts from gross pay that are not subject to any taxes. For example, an employee receives a $200 mileage reimbursement for work that he used his car to do that qualifies as a business expense. His gross pay is $2,700 for two weeks including the $200 reimbursement. Deducting the reimbursement now leaves $2,500 gross pay that is taxable. The next step is to calculate the Social Security tax and Medicare tax. The combined rate for these two taxes is 7.65 percent. For this example, 7.65 percent of $2,500 comes to $191.25. For employees who have earned over $128,400 for the year, employers stop deducting the 6.2 percent Social Security tax because it has reached the statutory limit. Medicare tax has no cap or limit. Also, there is an Additional Medicare tax of 0.9 percent that applies to earnings over $200,000. Once Social Security and Medicare taxes are calculated, allowances and other exemptions are deducted from the gross pay. Suppose the employee has claimed two withholding allowances on her W-4 form that she submitted to the employer. In 2018, one withholding allowance equaled $159.62 for a biweekly pay period, so the employer deducts $319.24 from the gross pay amount of $2,500, leaving $2,180.76. The employee also contributes $100 to her 401(k). This leaves an amount subject to federal income tax of $2,080.76. Federal income tax on this amount in 2018 was $171.34 plus 22 percent of the amount over $1,631 or an additional $98.95 The total federal income tax equals $270.29. Subtracted from $2,080.76, this leaves $1,810.35. If there is any state income tax, it must also be calculated and deducted. There may also be some additional deductions. For example, the employee may purchase insurance or contribute to a savings plan that does not qualify for a tax deduction. In this example, no state taxes or other deductions have been included. Finally, add back in the $200 reimbursement and the $319.24 withholding allowance, which was deducted from the gross pay solely for the purpose of computing income taxes. After the calculations, the employee's net pay is $2,329.59. The tax rates and other figures used in this example are for the year 2018. To find other current year figures, check Internal Revenue Service Publication 15 (Circular E); Employer's Tax Guide. Gross annual income is a term that is sometimes confused with gross pay. However, these are two different things. Gross annual income is the total of all income a taxpayer makes for the year and includes gross pay plus other amounts such as investment earnings. Employees must have gross pay totals for the year to calculate gross annual income so they can prepare and file their tax returns. For this reason, the IRS requires employers to provide each employee with a W-2 form by January 31 following the end of the tax year. The W-2 statement summarizes the employee's gross pay, taxes withheld and other amounts that were deducted. Fidelity: What Is Gross Pay? Patriot Software: Gross vs. Net Pay: What's the Difference?